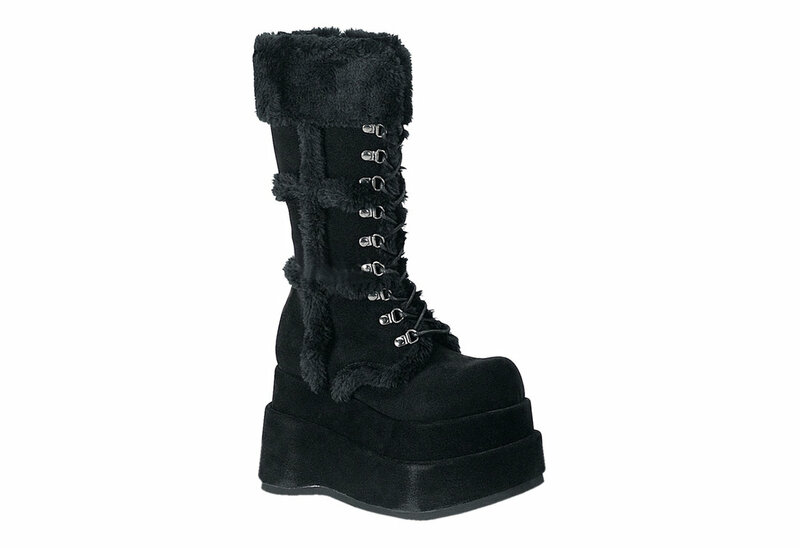 These furry platform boots have a 4 1/2 inch stacked platform sole. 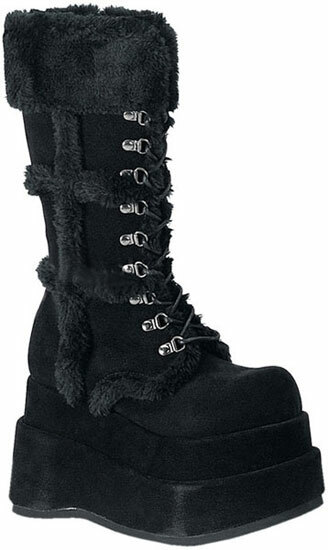 Covered in veggie sued and faux fur the Bear-202 is a calf high boot with nine D-ring lace up loops. Perfect for a night on the town or a weekend on the slopes. What is the calf circumference on these boots? The size 7 has a calf circumference of 33.5 inches and increments 1/8 an inch each size up or down. For example a size 11 would be 34 inches. Answered by Blue on Monday 04 December, 2017.